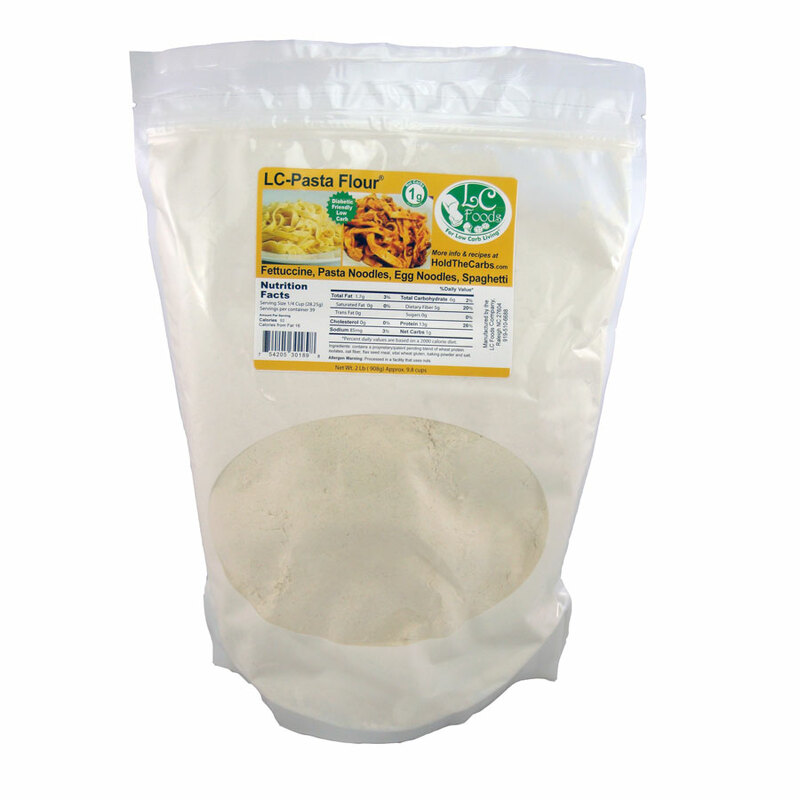 Low carb pasta flour with only 1 net carb per 1/4 cup! 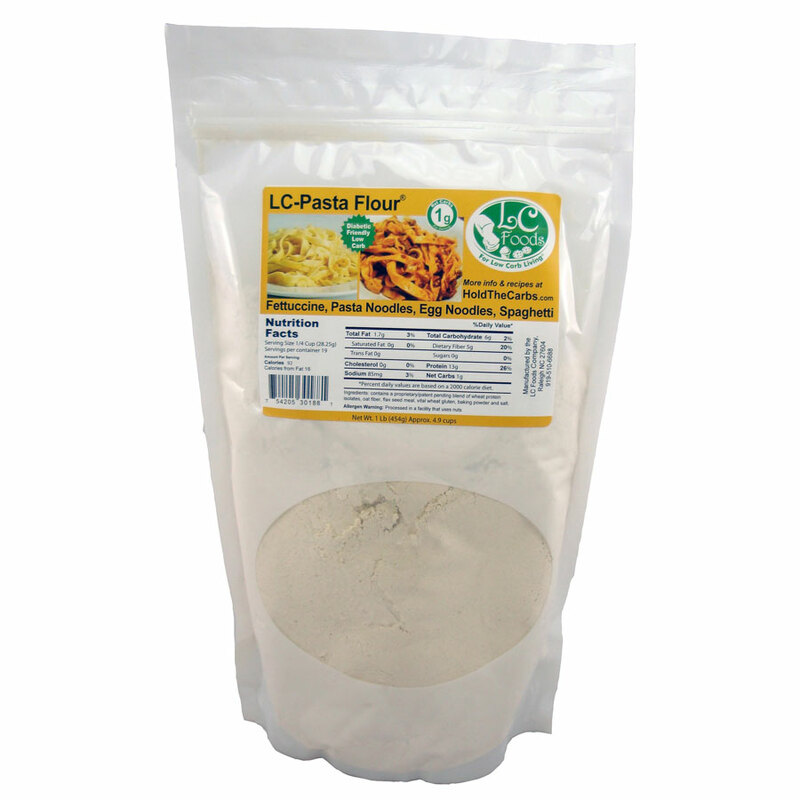 Our pasta flour makes true low carb pasta. 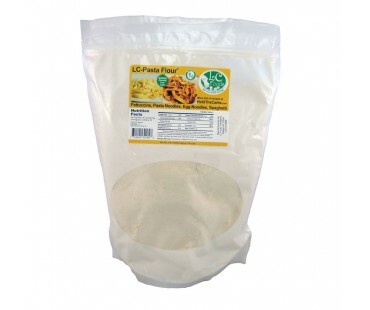 Seriously - real low carb pasta! 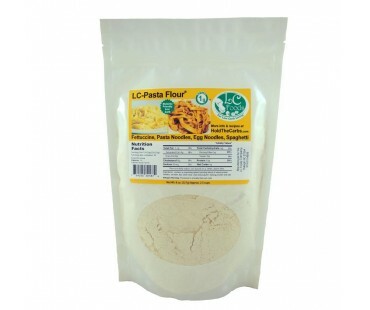 Enjoy this high protein, high fiber pasta anytime you desire. You can use with a pasta machine, or easy to make by hand. Just add an egg, olive oil and water to the mix and voila! The best low carb pasta you've had since you started the low carb lifestyle! Now you can enjoy all those pasta dishes, soups and casseroles again, the low carb way! Scrumptious served with chicken, seafood and beef! 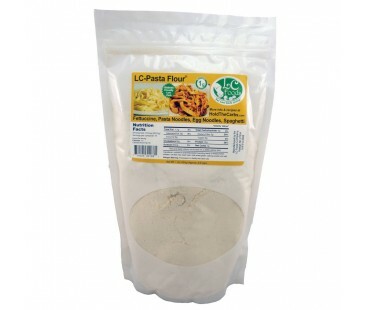 This low carb flour come in 1/2, 1 and 2 pound bags for your convenience. I found a way to make it easier to cut this in a pasta machine: roll into the thinnest sheets possible, then put the sheets between wax paper and chill. The cutting is easier and, after a day in the refrigerator, the taste was more agreeable. I have high hopes for this pasta mix. I love it !! If you have a hard time cutting it I usually put some extra flour on it right before I put it through my pasta machine !! I made ziti macaroni, rigatoni, and 3 different types of noodles to see. The bigger noodles turn out better with this dough. You definitely have to mix dough first and knead into initial ball before putting in the machine. I wasted my first batch of flour learning that. You can still make it without a machine as long as you have a rolling pin and don't mind kneading and rolling until you roll it thin enough to cut it into noodles. That's how my Nonna used to do it.Make sure to reserve some of the flour to put on wax paper so pasta doesn't stick together. Also, their recipe turns out a little too wet, so err on the side of using more flour than you think you need. When I cooked it, it was pretty dang good. The consistency reminds me of a gnocchi or a thicker homemade noodle. It's very multi-grain tasting. It's not bad at all. It doesn't taste like regular pasta, but I still like it better than any other pasta substitute! I got home, took in my mail which had my LC Foods package in it, literally went in the house and started making a batch of pasta. I tossed it with some left over home made Alfredo sauce. All I can say is, where has this been the past 15 weeks since I switched to a Ketogenic diet?! I used to eat whole wheat and brown rice pasta before I went Keto, this tastes like a cross between those pastas and regular semolina pasta. 5/5 WILL buy again! I love you LC Foods! Cant wait to try my pizza dough mix next! I was surprised at how well this worked for our lasagna. I agree with the review that cites the texture of something similar to whole wheat pasta but it is hardly noticeable with all the other goodies on it. I used a rolling pin and made the sheets that way so I can't say anything about use with pasta makers. The rolling pin worked just fine with this dough. I used 3 cups of the pasta flour (and 3x the additions) to make a 4 inch lasagna. Because I didn't know how much I needed to make, I did this process 3 times. So 1 cup flour + ingredients, rolled out and did that three times until I had enough pasta. 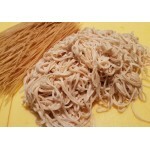 Consider using a little more sauce than you normally would because the noodles will absorb plenty of moisture. 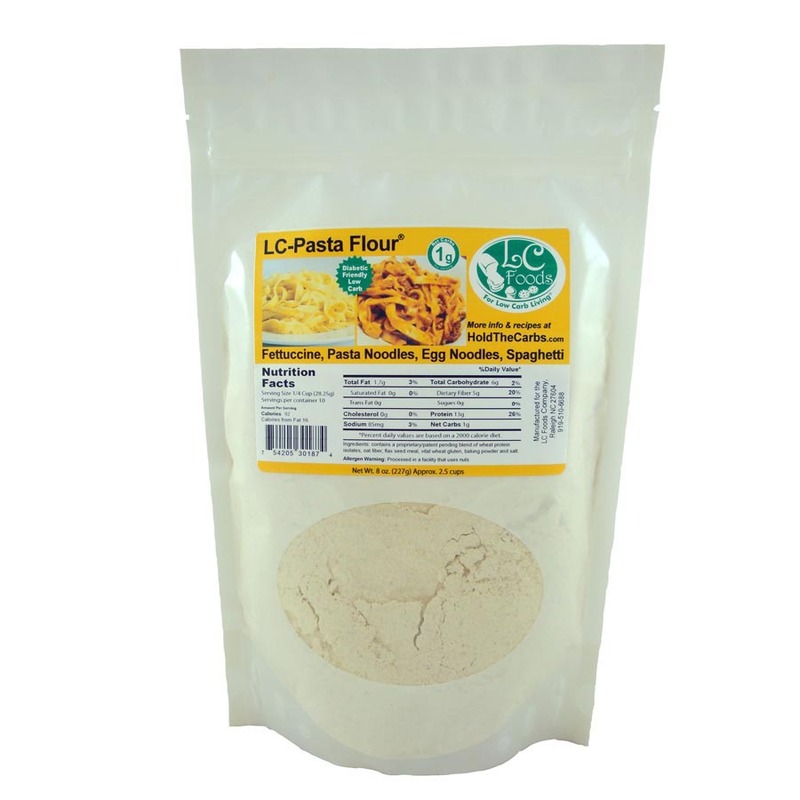 Knowing that no low-carb product is capable of perfect replication of a semolina pasta, I'm overall very satisfied with this pasta flour and will be buying again!!! 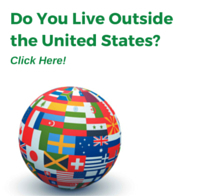 I've had generally good results with this product. 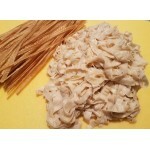 It's grainier than normal pasta flour and the taste is similar to whole wheat pasta. It rolls out pretty well in the pasta machine but my fettuccine cutter also had some issues with completing the cuts. I ended up pulling some of the strands apart by hand. I really like this and followed the instructions and was very happy with the result. 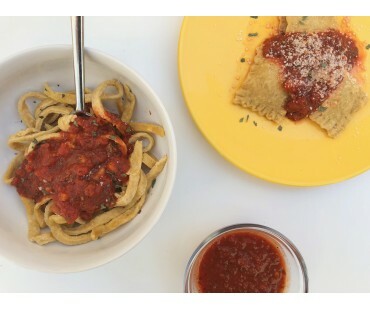 I have made regular pasta from scratch a number of times so perhaps I'm more adept than others at the process of making pasta, but this definitely works for my pasta cravings, and I am an absolute pasta addict. 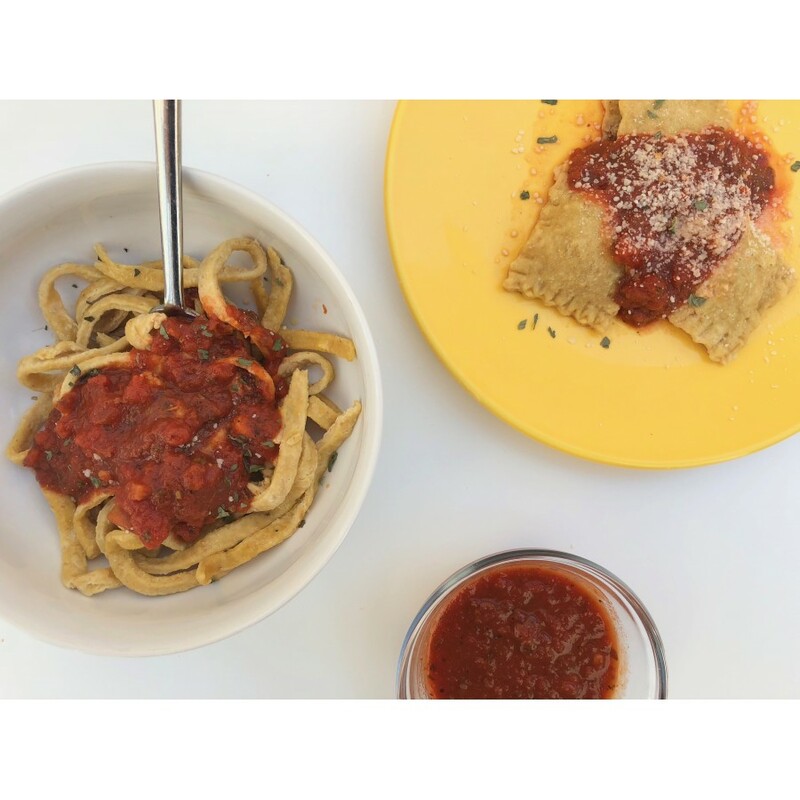 If you are looking for something that is exactly like pasta, my friend, you'll have to eat pasta, but if you're looking for a low-carb very good alternative, here it is. If you've tried eating that "egg-fast" pasta, it's awful, and there are a number of other awful alternatives (zucchini? Are you kidding me?). This... is great! I am not very sure about this pasta flour. I made the pasta per directions and it swelled up on boiling and was gummy. I made a very thin noodle out of it. Not sure if I did something wrong. I do, however, really like this as a coating for fish and chicken. When I fried my fish in butter in a saute pan, it turned out nice and crisp - even my husband could not tell it wasn't regular flour coating! This was okay i broke out my pasta maker and made some fettuccine with it but... it kinda tastes like pasta but its not fooling me... I think this would be best for making ravioli filled meat pasta and maybe deep frying them? I'll have to try that next time, I still have some flour left so i'll see if i make that next time. bottom line passable if you CRAVE pasta and don't like that spaghetti squash.